Arizona Beagle Rescue: Pour 4 a Paw 2019! 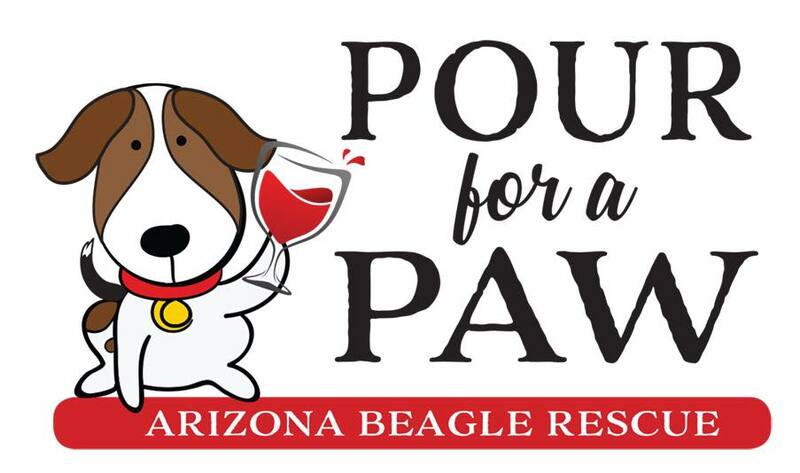 Pour 4 a Paw 2019! AZBR surprise favor you are gonna love! Rumor has it there has been some delicious wine donated! one chance at our World Famous "Cork Pull" ($25 value). These tickets are limited to the first 30 people who purchase online. Tickets will be $35 at the door on the day of the event! Early Bird $50 Ticket Special - a $55 value! Early Bird Pour 4 a Paw Special! Did you know that you can shop Amazon.com and save beagles at the same time? Click on our special link to shop every time you use Amazon.com and a portion of your purchase will be donated to Arizona Beagle Rescue! Thank you for your support!